She’s winning so much more than a lifetime achievement award tonight. Tonight, Oprah will be the first black woman to take home the Cecil B. DeMille Award at the Golden Globes. 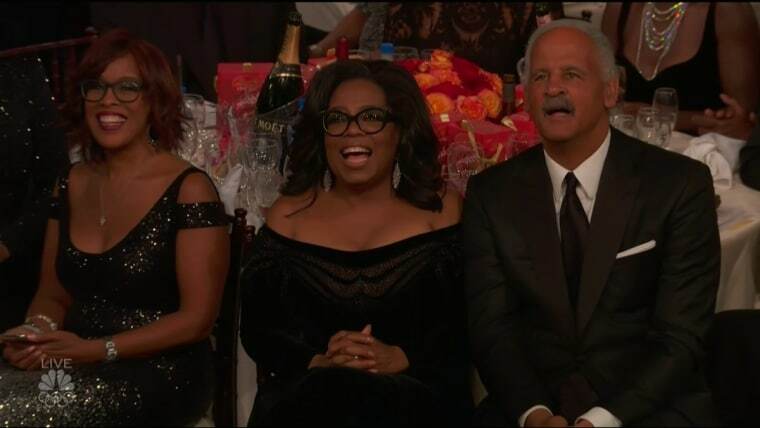 Given the level of prestige that comes with such a distinct honor, it makes sense that Oprah would have the best seat in the venue. Not only does she have a prime view of the entire ceremony with a front row seat, but she is also in the company of pals Gayle King, Stedman Graham, Ava DuVernay, Viola Davis and Denzel Washington. Obviously, it didn't take long for everyone on Twitter to notice the VIP table and the memes have been rolling out. Scroll down to see some of the best tweets.